It doesn't matter what it is change is never easy, it was never meant to be. But it is going to be necessary in order to obtain that relationship you deserve, that happiness you seek, and that future for yourself that leads to a happy ending. Some people will need to be left behind, while others will need to be held closer than ever but regardless CHANGE IS A GOOD THING. 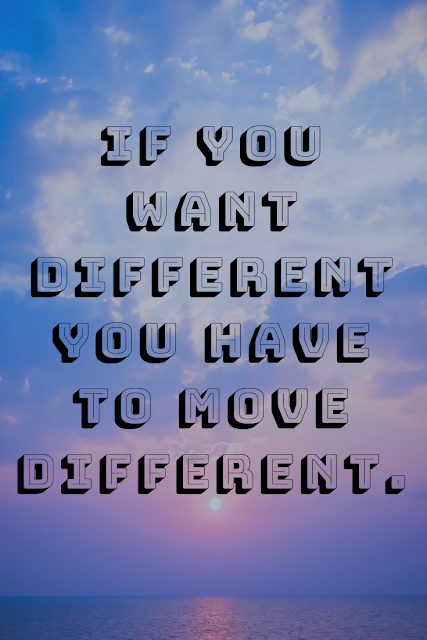 Move different to change the outcome in your life and never let ANYONE restrict your movements.